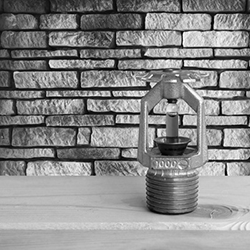 Fire Sprinklers Napa, CA | A+ Waterworks, Inc.
California wildfires have increased in the past years, thus every little protection strategy is crucial to prevent accidental fire. Installing fire sprinklers in Napa, CA is one of the most basic protection measures. By installing fire sprinklers, Napa, CA residents can help lessen the incidents of fire in the state. It also protects their families as well as investments from the potential damages caused by wildfire. A+ Waterworks provides a wide range of assistance, including the installation and repair of fire sprinklers. Napa, California locals who want to fireproof their homes or businesses can do so with our high-quality fire sprinklers. Napa, CA locals also turn to us for speedy assistance. Getting fire sprinklers in Napa, California is more than just a way to prevent fire in your residential or commercial area. With fire sprinklers, Napa, CA residents can stop the spread of fire within their community. Imagine if every household had an effective fire protection and control system in place. With the recurring wildfire incidents in the state, fire sprinklers in Napa, California are needed now more than ever. Many homeowners believe that these fires are natural disasters caused by nearby dry forests. However, most wildfires are actually ignited by humans. By installing fire safety products, such as smoke detectors and fire sprinklers, Napa, Californiaresidents can do their part in protection against wildfires. Secure your homes or businesses with fireproof walls, insulation, and fire sprinklers in Napa, CA. By getting fire sprinklers, Napa, CA residents are reducing the probability of fire incidents in the area. Fire sprinklers in Napa, California are one of the best ways for fire protection in the area because they act fast when heated up. The fireplug breaks and the sprinkler opens as soon as fire breaks out. Getting fire sprinklers in Napa, CA is definitely a safety must for both homeowners and business owners. Homeowners are protecting their family by installing fire sprinklers. Napa, CA residents can protect those that are close to them and ensure that they are safe in the event of fire if they have high-quality fire sprinklers in Napa, CA. With fire sprinklers, Napa, California residents have a better chance of safety and protection against a fire. Business owners can protect their shop or any commercial establishment by installing fire sprinklers. Napa, CA residents whose main bread and butter are their businesses should take extra protection measures to guarantee that nothing can harm their livelihood. A+ Waterworks knows how important it is for business establishments to have fire sprinklers in Napa, CA. A+ Waterworks has installed fire sprinklers in Napa, California commercial establishments, including warehouses, hotels, and office complexes. Protect your family, home, business, and everything you hold dear! Contact A+ Waterworks today for professional installation and fixing of fire sprinklers in Napa, CA. Our installation and repair services for fire sprinklers in Napa, California are available to both residential and commercial clients. You can be confident that we are fully equipped to get the job done right because we have worked with countless clients, including large-scale warehouse factories, multifamily real estates, office buildings, and hotels, among others. We definitely have the fire sprinklers Napa, CA residents need for safety! For questions about fire sprinklers, Napa, CA residents can email us at [email protected] or leave a message using the inquiry form on our contact page. Alternatively, you may call us at 707-255-6150 or 707-255-5270. Our office is located at 194 Camino Oruga, Napa, CA. For more information about us, including installations and repairs of fire sprinklers, Napa, California residents can check our website. services for residential and commercial clients, turn to A+ Waterworks. We have been serving the North Bay area of California since 1994 and have been hailed as one of the best in the industry. According to the NFPA, having fire sprinklers in your home or establishment will greatly increase your chances of survival during a fire. Fire sprinklers are one of the best fire protection methods since they are quick-acting devices. A+ Waterworks has licensed sprinkler fitters who have years of industry experience. Our team has installed fire sprinklers for warehouse facilities, multifamily housings, hotels, office buildings, and small residences. The professional installation and repair help we offer are available at reasonable rates. Efficient plumbing, drainage, and fire protection systems are very important in securing your property. Whether you’re a humble owner of a small house or a proud entrepreneur running a large factory, these systems are indispensible. As such, it would be very beneficial to learn updated facts about them. For more information about proper plumbing, fire protection, and drainage, visit our resources page.